Ahh…the Elizabeth community in Charlotte NC in the spring is simply gorgeous! The beauty of the mature landscaping, the aroma of blooming flowers and the welcoming feeling all captivate your senses as you traverse through this historic community. Single family homes in Elizabeth range from brick mansions to quaint bungalows and even new townhomes and condominiums have sprung from old homesites. The Elizabeth Avenue Redevelopment Plan, a $240 million revitalization project is in full swing and encompasses a six-block area along historic Elizabeth Avenue between Presbyterian Hospital and CPCC. The project is expected to include office space, 800+ residential homes and condos, and new upscale retail including Whole Foods Market, specialty boutiques and services, a 150+ room hotel, a multiplex movie theatre, and even more trendy restaurants as well as live entertainment venues including Carpe Diem, NOFO on Liz, Volarè Italiano Ristorante and more. Some of Elizabeth’s most popular stops include the rose gardens at Independence Park, a New Orleans rooftop dinner at The Cajun Queen or a luxurious night out at Carpe Diem followed by a rooftop drink at my favorite martini bar (with increcible skyline views), Loft 1523. For the most-up-to-date information on Elizabeth current home values, then we urge you to contact us. We can assist you with all aspects of buying or selling real property in this and other neighborhoods in the Charlotte Metro area. Also ask to be placed on an instant notification system when any new Elizabeth MLS listings come on the market or price reductions in Elizabeth are posted. The Maxwell House Group Real Estate can assist buyers in all forms of Charlotte relocation needs including new construction houses, condos, townhouses, for sale by owner homes, residential lots, townhomes, lofts, and new homes in various subdivisions across the Charlotte Metro region. If you are interested in foreclosure homes including pre-foreclosures, short sales, REO properties, bank owned properties and other types of foreclosure properties, then we can assist you. If you’re searching for Charlotte NC foreclosures in Elizabeth or neighboring communities, then we invite you to view the listings in this or any of the Charlotte popular subdivisions on our site. And if you’re searching for condos or townhomes for sale in the Charlotte area, feel free to browse our updated listings of Charlotte condos, townhouses, townhomes, lofts on our site.  Information on this page is based on information on single family homes for sale in Elizabeth subdivision in Charlotte NC per the Carolina Multiple Listing Services, Inc. and is deemed reliable but, not guaranteed. © Debe Maxwell | SavvyBroker@me.com | Elizabeth Charlotte North Carolina – An Historic Charlotte Neighborhood – popular Charlotte walkable communities – contact your Elizabeth specialist today! What a fabulous overview of your Elizabeth, Charlotte NC neighborhood, Debe. And I love the pictures. Look at those blossoms.